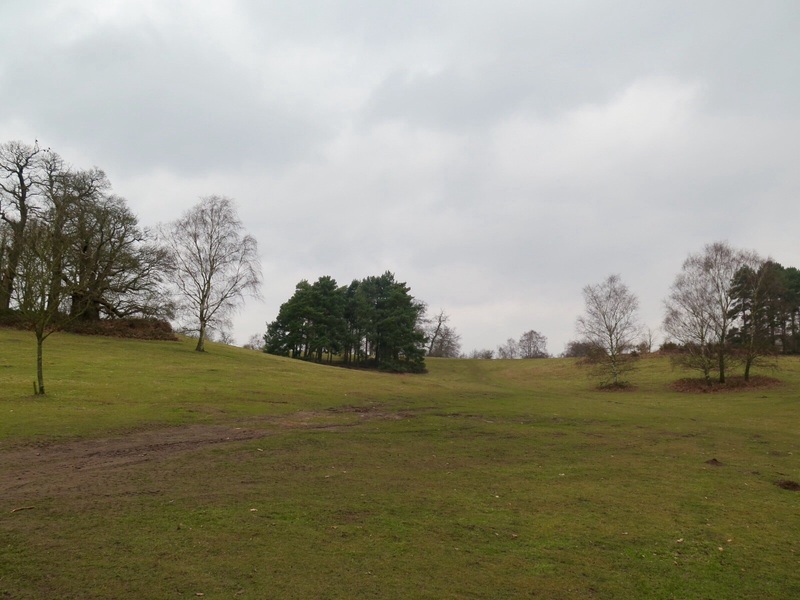 WWI – Bedfordshire Training Depot in Ampthill Park – Tommy’s Footprints takes a big step forwards…. On Saturday, 25 August Tommy’s Footprints took a big step forwards. 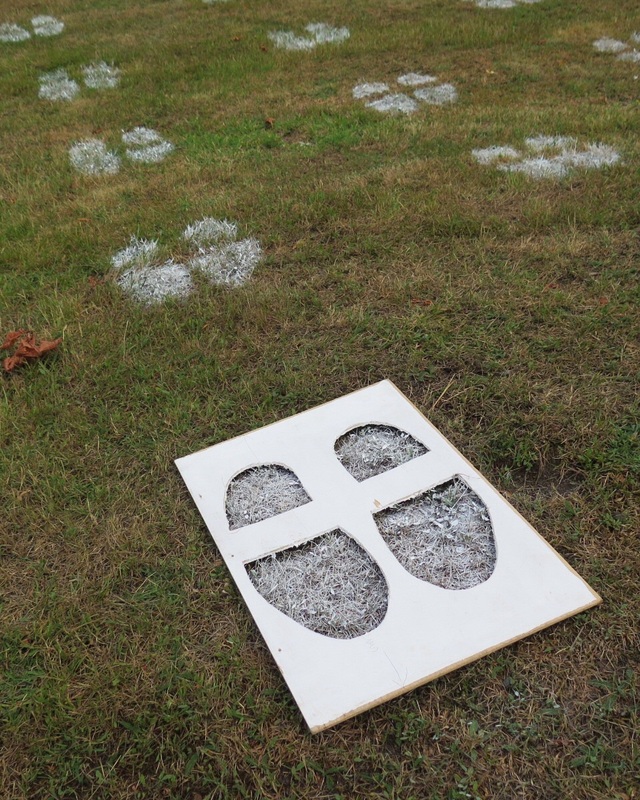 We stencilled a platoon of 20 footprints in Ampthill Great Park to see how they look and weather. The ‘test’ footprints will also help us to plan the November 2015 installation – how much white will be needed, how long will it take to create the column of 707 footprints….. The platoon of ‘test’ footprints is behind the Ampthill Cricket Club Pavillion. Please have a look and let us know what you think. 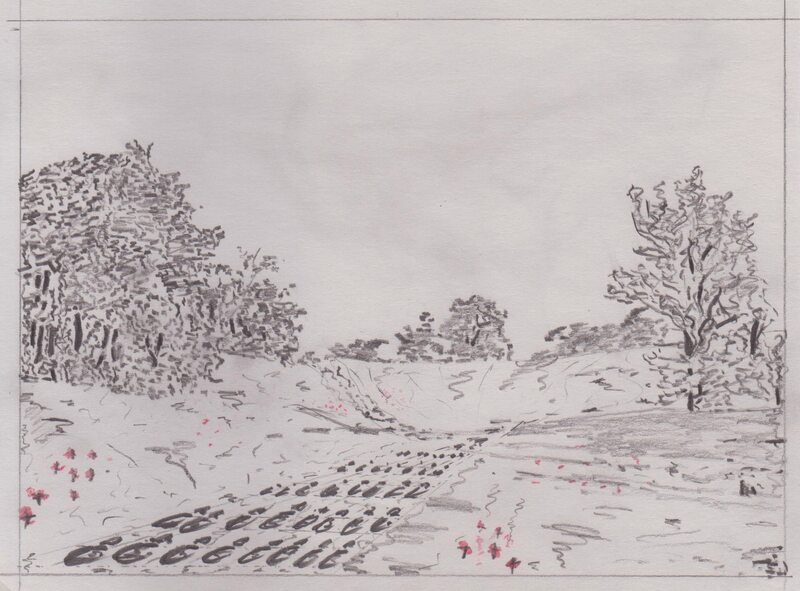 This entry was posted in Uncategorized and tagged 1914-18, 1915, 1916, 707, Ampthill, Ampthill Park, Bedfordshire Training Depot, Centenary, Duke of Bedford, First World War, Footprints, Great War, Tommys, WWI on July 26, 2015 by Ste H.
One hundred years on, we are all connected to the First World War, either through our own family history, the heritage of our local communities or because of its long-term impact on society and the world we live in today. From 2014 to 2018, across the world, nations, communities and individuals of all ages will come together to mark, commemorate and remember the lives of those who lived, fought and died in the First World War. IWM (Imperial War Museums) is leading the First World War Centenary Partnership, a network of local, regional, national and international cultural and educational organisations. Together, through the First World War Centenary Programme, a vibrant global programme of cultural events and activities, and online resources, we are connecting current and future generations with the lives, stories and impact of the First World War. Tommy’s Footprints is part of this global commemoration. This entry was posted in Uncategorized and tagged 1914, 1914-18, 1914.org, 1916, 2016, 707, Ampthill, Ampthill Park, Ampthill Town Council, Army, Bedfordshire Regiment, Bedfordshire Training Depot, Centenary, First World War, Footprints, Great War, History, Imperial War Museum, IWM, Partnership, Programme, Tommys on June 19, 2015 by Ste H.
This is an early pencil sketch of how Tommy’s Footprints will look in November 2016 when the column of footprints are installed in Ampthill Park. We are looking to commission an artist’s impression of what Tommy’s Footprints will look like in the hollow of Ampthill Park. Please reply or email if you are interested to sketch this work. This entry was posted in Uncategorized and tagged 1914, 1914-18, 1916, 2016, 707, Ampthill, Ampthill Park, Ampthill Town Council, Army, Art, Artist's Impression, Bedfordshire Regiment, Bedfordshire Training Depot, Centenary, Duke of Bedford, History, Rememberance Day, Royal British Legion, Soldier, War Memorial, WWI on May 16, 2015 by Ste H.